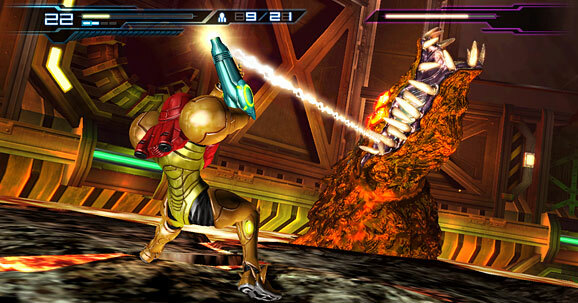 Metroid Other M was developed by Team Ninja and Project M from Nintendo. The game was released on September 2nd in Europe. This game was Nintendo’s attempt to create a far deeper, story driven experience for a gamer. The game was first shown off in 2009 with emphasis on the fact that Team Ninja and Nintendo were working together on this project — shown by using a multiplication sign between the two company names in the trailer. The 2009 trailer showed off the types of fancy movements that Team Ninja is famous for and a battle scene where Samus is surrounded by a squad. I personally wasn’t happy about this as I always loved the Metroid games for their feeling of isolation and exploration. At the time I felt the game was nothing more than Ninja Gaiden game with a Samus character and I was convinced Nintendo had ruined one of their best franchises. Only after playing the game did I soon realise that this was still a Metroid game. Retro Studios did an amazing job in creating the Prime series that lead up to the events of the NES Metroid. I highly recommend purchasing Metroid Prime Trilogy if you haven’t already played these games as they are truly some of the best games available. Team Ninja created Other M following the events after the Super Metroid on the Super Nintendo. Nintendo and Team Ninja have given Samus a voice for the very first time in Other M and tell the story through beautifully rendered cut scenes rather than scanning items like in previous Metroid games. The story begins exactly where Samus is fighting the end boss from Super Metroid. Later in the game, Samus responds to a distress signal only to find deadly creatures in the areas and meets a former squadron she once worked with. The story is interesting and really goes deep into her background and her relationship with her superior, Adam. Metroid Other M on the Nintendo Wii is played from a 3rd person viewpoint using the Wii mote on its side like the NES controller. Samus’s movement and camera remind me of Mortal Kombat Shaolin Monks for the PS2 and Xbox. The way the camera follows you but sticks to what the developers want you to see feels similar. You jump with the 2 button, shoot with the 1 button and can morph into a ball with the A button. Everything is very simple in Metroid Other M. This does not take any depth away from the gameplay as tapping the D-pad as soon as you are about to get attacked performs a quick dodge and holding down the shoot buttons charges quickly when dodging. This really encourages you to get up close and dodge in the game rather than stand back and simply shoot. The battle sequences are very fast and typically something you would expect out of a Team Ninja game. The game really feels like a next generation Super Nintendo game, meaning that it has a very simple controls style with more emphasis on timing and placement during the old run and gun game play, rather than learning every button on the pad to perform different actions at certain times. This was my favourite part about the game as it seems that the developers were aiming the game at gamers like me who played the older Metroid games. In addition to the NES-like gameplay, the developers have added a unique feature when pointing the Wii mote at the screen. The feature goes into a 1st person view like the Metroid Prime series and while in 1st person you can shoot rockets and aim more precisely at enemies. You cannot move in 1st person but can still perform a dodge when flicking the Wii mote as soon as you are about to get hit by an enemy. Even though it would have been nice to be able to move in first person like Metriod Prime, the dodge is good enough. This is something you’re going to have to learn to master in 1st person view for some particular boss battles. Team Ninja seems to have added some of their flair to the game with very fancy Ninja like movements. Pressing the D-pad in the direction of a downed enemy and pressing the shoot button performs a satisfying lethal strike. These lethal strikes look like something from previous Team Ninja games with spinning like movements to finish off the enemy. In addition to lethal strikes there is another fighting move called Overblast. These are performed by jumping onto an enemy’s head and pressing the shoot button. These also usually look like fancy attacks adding to the intensity of a battle and the fast speed of the game. 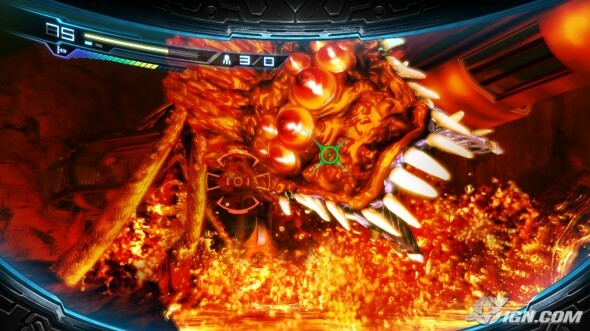 The gameplay in Other M departs from the previous Metroid games but is very fun nonetheless. The art direction and the graphics are some of the Wii’s best. I realise I sound like a broken record when it comes to talking about this year’s Wii games , but Metroid Other M graphics are definitely at the top in terms of the Wii gaming library. It’s not beating the graphical quality of Monster Hunter Tri or Mario Galaxy 2, but better than just about every other game on the Wii. The cut scenes are especially pretty and the soundtrack is typical Metroid music. I particularly like the ambient music when exploring the game as some of it does sound creepy giving the feeling of isolation in parts of the game. 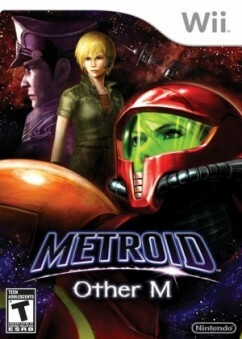 Metroid Other M is a great game but does have some annoying moments. Unlike previous Metroid’s where you actively look for particular weapons and upgrades to progress through the game, Other M gives you everything from the start. The only difference are that in Other M you are following Adam’s orders and can only use certain abilities at certain times. This makes perfect sense in that you are following your superior’s orders. However there are parts of the game where this gets a little ridiculous. One particular section was when Samus is in a cave and lava is slowly rising to the top. Samus is actually taking damage and is nearly burning alive while you run to the top of the level. It is only when you get to the top that Adam finally gives you clearance to use the Varia suit which keeps you cool. Metroid Other M is still a very fun game with a great story. It may not be as isolated as the previous ones, but still has its exploration moments reminding you that it is a Metroid game. The game is obviously made for gamers following the series and has everything you would expect out of a Metroid game. It was very ambitious of Nintendo to team up with Team Ninja and create this title. I just hope we get to see more games like this in the future.